What an Opportunity! 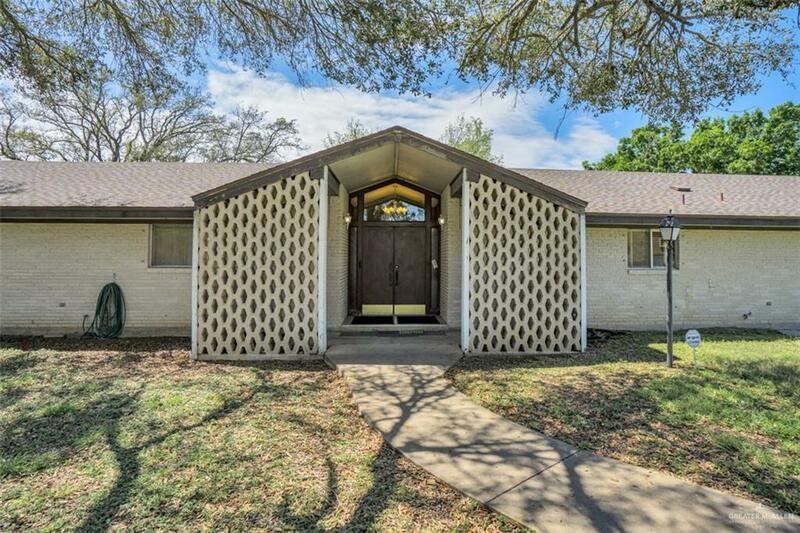 Mid Century Modern home in quiet & conveniently located neighborhood off Ridge Road in Pharr. 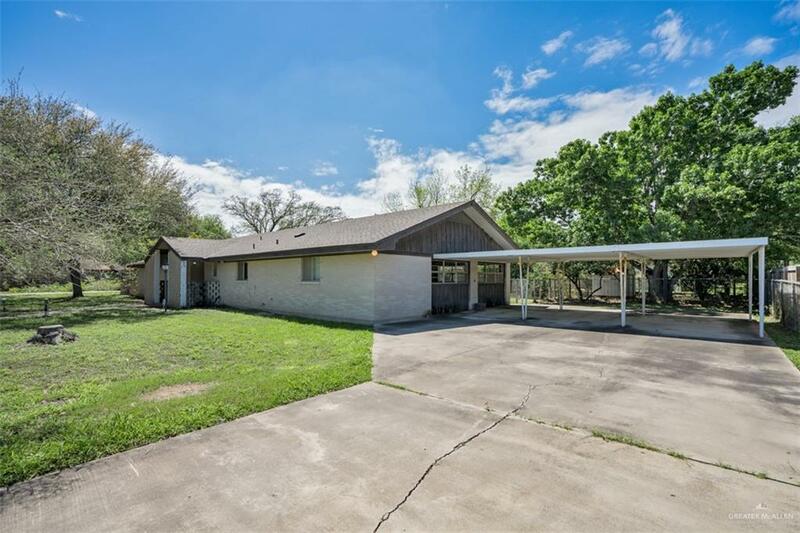 This 3bed/2bath 1967 custom build home is close to area schools, main thoroughfares & the new Pharr walking trail! Welcoming foyer invites you into the formal living room complete with cathedral ceiling & exposed wood beams. Home boasts good bones with quality construction you just don't see anymore, but feel free to add your own cosmetic touches! 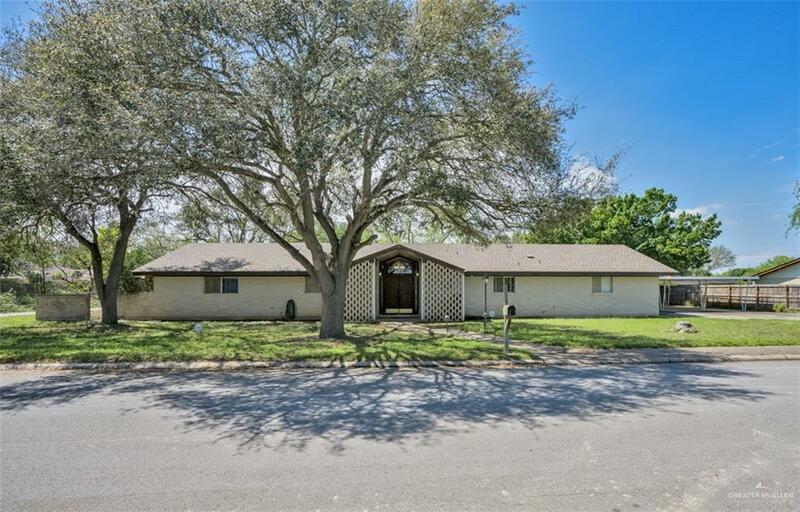 Large private lot with citrus trees & 3 separately fenced areas for dog runs or protected gardens. Enclosed garage is perfect as an artist's studio, playroom or carpenter workshop & even has 3rd full bath and bedroom. Features a 2018 new roof with Radiant Barrier decking & 50 yr shingle (transferable 5 yr warranty on workmanship.) New AC system was installed in 2017 giving the home excellent temperature comfort! Property is part of an estate sale so home will be sold "as-is." No VA/FHA financing.